I often think that one of the reasons art works so well in helping people recover from illness is the way that it can replicate real life situations in a seemingly inconspicuous creative activity. Twice this week sessions at S2C have done this very clearly done this and it has been very interesting to observe how people have dealt with it and the real life skills it develops. One of the things about mental health issues, or indeed many kinds of illness, is the way it drains your ability to cope with new situations or decision making. I can speak from experience when I refer to the fear and inability to function that literally feels like you are being boxed into an ever decreasing and limiting space. This is where you can end up spiralling inwards and becoming very isolated. Breaking out of this is very difficult and trying to do it in the “real world” can seem almost impossible. That is where S2C and many services like it come into play. We can create an environment that feels non threatening, is supportive and welcome. Most importantly, a place where everyone is in the same boat and feeling in very similar ways to differing degrees. This means that we are all able to support each other. So, back to the art. How is painting a picture like real life? Well it’s not but it does recreate some of the same feelings a person needs to deal with in order to get out of that downward spiral but in a microscopic way. For a start it may well be something new, a new technique, a new style and new ways of working. Having a go at something new is a terrible ordeal for some people and these art new things are not threatening. It’s safe because if it goes wrong the only issue is a messed up bit of paper. In attempting this new thing, at S2C, you have others around you. Some of them will know how to do it and can help you, others are in the same boat as you and you can help each other. The point is though, that in taking these small risks you build up resilience and reduce that fear of failing, fear of the new. With others around you, you can take on new challenges. Over time this resilience builds and suddenly some of those things that felt big scary barriers in the real world are not quite so threatening and you can begin to face them. 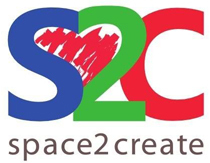 We have amazing people at S2C. Some are amazing because of what they have been through and survived, some are amazing because they are surviving and some are amazing because they are willing to give their time and support others. achievements don’t need to be big. Getting up in the morning, getting outside, getting to S2C, joining in and having a go, creating something new and unique, smiling and laughing. These are all great achievements for some of the people the come to S2C. Some of this weeks achievements……. Stats, approval and a pre-announcement announcement……..
My mind has been on stats recently. We collect stats where we can because funders and those who monitor our activities are always wanting evidence. What we do is very hard to evidence because lets face it a lot of people we deal with are in very ill health. We are not the cure but we are part of it. In some cases the people we deal with have degenerative illness which means they are only going to get worse. We aim to make the time they are with us happy and a relief from that. How do you measure that. Anyway, we try as unobtrusively as possible. Some stats are great. I posted earlier last week how, in a moment of idleness, I calculated that 96% of all Fridays for the last eight years had a WellArt session running. That’s both as S2C and at Workbase where we started WellArt many moons ago. We ask people to drop a bead in one of three pots as they leave session at S2C. One says they feel the same, one says they feel worse, on says they feel better (their mood, not expecting to cure and diseases or illness). Very crude and simple but it works if people are honest. Overwhelmingly the response is that they feel better. It works out at something like 98.8% of responses over the year are that they feel happier, in a better mood or place and more positive on leaving S2C after a session than when they arrived. What is interesting is that the stat is across the board as it were. Not just those attending sessions register their mood. We get professionals who are bringing their service users to our sessions who join in the session and end up leaving feeling better, more relaxed and in a better mood. Our volunteers get that too. If everyone involved is happy, in a good place and participating then everyone benefits. Enough of statistics I hear you cry, what about that pre-announcement announcement? Well just a small thing. From the very start we have asked for a £3 donation for attending a session. We have been chatting about changing this and so next week we will formally announce that from thereon in we will operate on a pay what you think/want/can basis. We feel we want to remove as many barriers as possible to people attending sessions and know that those who need to occupy their time and be in company in a safe and secure place cannot always afford it especially if they come to more than one session. So from this week we will be asking people to pay what they can or what they think. They can consider their own situation and can think about the costs we incur in terms of resources, refreshments, running costs, how much they enjoyed the sessions. Whatever. So it’s not an issue. One day we may be in a position that everything is free but not there yet! As it is the 11th of November we of course turn our thoughts to those who have given their lives in conflicts across history and the world. From the World Wars to more recent conflicts fighting to preserve the security and principles we all hold dear and sometimes take for granted. Being involved with mental health and the benefits of creativity I also look to those who have served in our armed forces who have struggled to integrate back into society. It is understandable that the traumas, stress and horrors they witness in active service stay with those when the move into life outside the arm forces. It must be a terribly difficult experience to go from being with comrades and friends in the close knit community of regiment and unit to then being alone with only yourself to rely on and cope with such traumatic illness as Post Traumatic Stress. We see reports of so many people from the armed forces ending up on the streets or in dire mental health need as they attempt to reintegrate with society. It is also notable that there is a long history of service personnel returning from conflict to little real support. The number of times people recall grandfathers and fathers who served in the two World Wars recounting stories of their struggles which they tried to keep to themselves or away from their families. Some clearly cope but others are left very isolated and vulnerable. As we celebrate the memory of those who have fallen, as we thank those who have served, let us also ensure that those same people are supported. Supported to deal with the traumas they may have witnessed. Supported to enter back into society and find meaningful and useful purpose. Supported to build and lead their lives without stigma and suspicion. So maybe we should remember today. And also remember throughout the year as we help those from the services and all our society who are struggling with issues in their lives. Okay, if you read last weeks blog about change then you just knew I was going to drop something out there. Well, okay, there is something to tell! have been the Chair of S2C since we started forming the organisation amid the collapse of Workbase. Having started and run the WellArt Group as part of Workbase with my friend Jo a couple of years before that it seemed a very logical thing to do to save that format and start over so I guess in total we have been doing our particular brand of art for health for nearly 8 years. One thing about growing an organisation is that at the start you can do it with a small team at first but then as it grows and develops you need to get more people involved. We have some fantastic volunteers who work their socks off to help our service users and we have amazing service users who defy their illness daily to do amazing things. We have a big project in mind in the coming year which is going to take a lot of work. For that reason I have decided to step down as Chair of S2C. I will be remaining a Trustee but will be focusing on my roles as Creative Director and Manager. In fact you probably wont notice much difference! So, the empty Chair. We are very fortunate to know some ace people and are very happy to announce that our good friend Julie Tait has agreed to take over the role. Julie brings a wealth of experience in running creative events and fundraising. Julie is one of those people with great connections and the will to drive projects forward. In the past it has been Julie and her team who created and delivered Mintfest and more recently The Lakes International Comic Art Festival. Julie will be looking to help us move forward and supporting me to provide a better service for those we help. We are all very excited about working with Julie and I am sure it can only mean bigger and better things ahead. There that was to bad was it as changes go! Some of this weeks fabulous artwork.